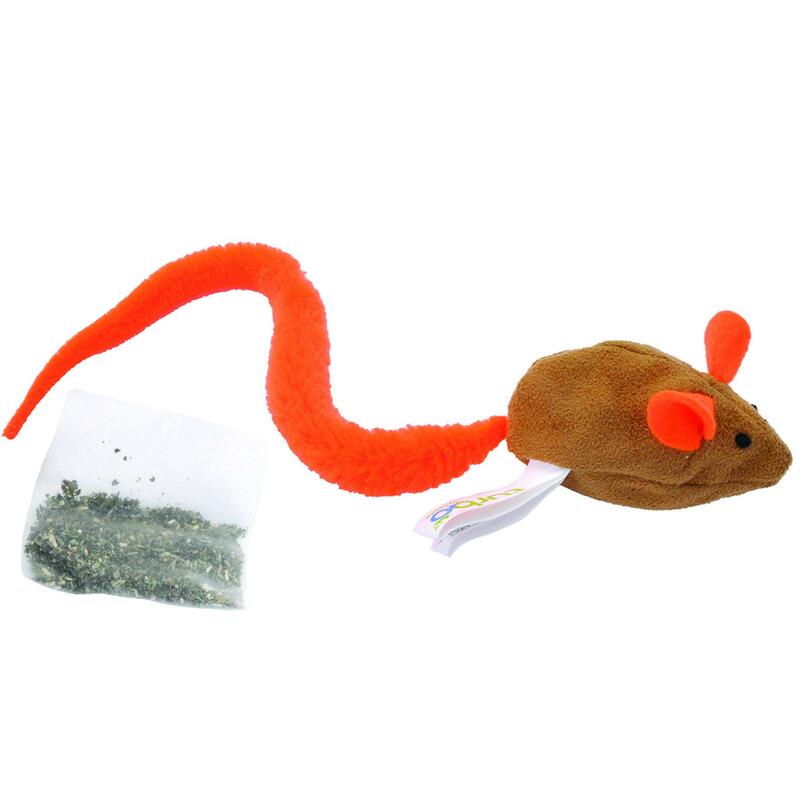 The Turbo Cat Turbo Tail Cat Toy - Catnip Belly Crinkle Mouse is a fun and entertaining cat toy for endless play! The Turbo Cat Turbo Tail Cat Toy - Catnip Belly Crinkle Mouse engages and stimulates cat play for hours of fun! The brightly colored plush turbo tail and crinkle mouse will entertain cats as they bat it around and hear the crinkle noise. Its catnip pouch belly will will keep them engaged with the intriguing scent of high quality catnip. Cats will love to play with this exciting cat toy! Good value, but high shipping cost.